I didn’t do any challenges last year and I promised myself I wouldn’t this year either as when I have done them in the past I have found that they can sometimes feel like homework and that I “have” to read something. 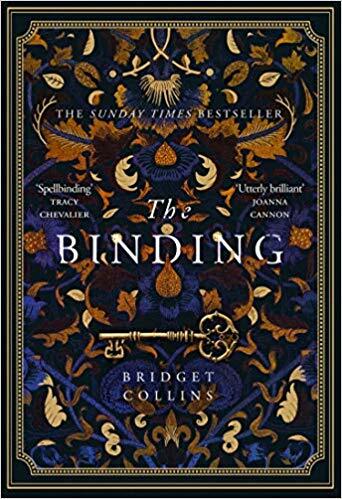 However, being a massive fan of Victorian literature, I have been eyeing up this one, hosted by Laura’s Reviews for some time and I have decided to give it a go. So, knowing how rubbish I am at sticking to plans and lists, I have decided not to give myself a huge goal but to say that I will read six this year and then just keep going if I fancy more. Seeing as I have almost finished two so far this year, it’s looking pretty possible. And if I have time after that little lot I would also like to read some non-fiction like finish Claire Tomalin’s biography of Charles Dickens and also London Labour and the London Poor by Henry Mayhew. Are there any out of this little lot that I should be reading before the others? …I am rubbish at making plans. OK, not strictly true – I am great a making plans, just rubbish at sticking to them. After a very murderous 2011, I have an urge for something a little gentler right now and I plan to raid my own shelves in 2012 and read some of what I actually own. This year I have had the absolute best fun reading about serial killers and detectives and crime fiction was all I craved for a long time: I will still be reading crime fic in 2012 as it is one of my favourite genres but at the moment I am craving books that have been sat on my shelves and whispering my name for years. I am dying to get back to the Victorian classics and have read Little Women and Oscar Wilde’s Complete Short Fiction over Christmas. These are also some authors that I would like to read more of in the new year. Jane Eyre and Villette are two of my favourite books of all time and so this year I’d like to read Shirley. I have only read Tess of the D’Urbervilles and think it’s about time I read some more. I am thinking The Mayor of Casterbridge and Jude the Obscure first. This Master of the Tome has always been slightly daunting to me (despite me loving Great Expectations and A Christmas Carol) but this year I am determined to read at least one more of his and on my hit list are David Copperfield, Oliver Twist and The Old Curiosity Shop. I absolutely loved Lady Audley’s Secret and have heard great things about Aurora Floyd so that will be next. I just love Victorian sensational novels. I loved North and South and my cousin bought me a copy of Wives and Daughters for Christmas which I have heard great things about. I have only read The Woman in White so it is high time I picked up more of Collins’ work and next up are Moonstone and Armadale. I have only read Thérèse Raquin and I am about ¼ of the way through Germinal but I would also like to read The Belly of Paris or The Ladies Paradise this year. Two other authors I would like to read are Ernest Hemingways’ A Moveable Feast and George Orwell’s Down and Out in Paris and London and some shorter stories by Guy de Maupassant. I have a habit that goes like this: I read a book by an author, I love it, I buy a tonne of other books by that same author, they sit on my shelves waiting to be picked up. There are certain books that have been on my wishlist for reading for so long that I almost cringe out of guilt when I hear them mentioned. Fortunately, two of them are being read this year in my on-line book club: Gone with the Wind and The Grapes of Wrath. Others that look at me longingly from my shelves are: Shantaram, Shogun and My Antonia. I successfully managed to avoid the great publisher/blogger debate that was doing the rounds last month, and I still intend to. What I will say is that when an unexpected (or expected) package lands on my doormat I still get that feeling like it’s my birthday and Christmas rolled into one. There is not much more exciting than ripping the packaging off something book-shaped. Having said that, I do regularly get overwhelmed with the number of books that drop through my letterbox and my guilt at not reading them all still hounds me, but this year I have decided that I want to concentrate more on the books I already have rather than spending the majority of my reading time on proof copies. It’s a tough one really as despite the fact that a) I don’t get the time to read them all and b) abandom some pretty quickly, two of the unsolicited copies that arrived at my house this year (and to be honest, I may not have picked up myself in a shop) ended up on my top 10 of 2011 list. Do you have blogging plans for 2012?